Vehicles these days have so many technologies to help give us control and safety, but they're only as good as the traction they can control, the only things that give us traction are those four tires. Winter Tires will help you stop in less than half the distance that an all season tire would. 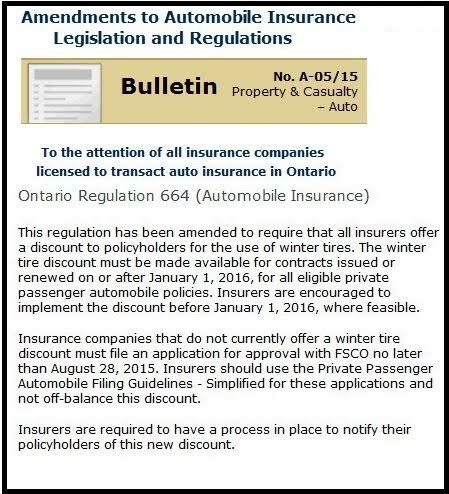 Having winter tires on your vehicle also entitle you to a discount as an insurance policyholder in the province of Ontario. 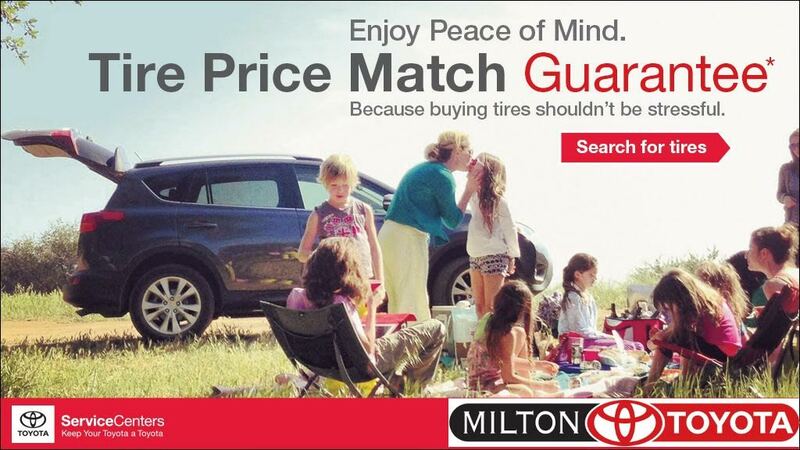 See the bulletin to the right for more details, and Inquire today at Milton Toyota about how you can save money on insurance by fitting your vehicle with a set of winter tires. Rubber has a critical temperature where it starts to harden, affecting its ability to create friction and grip the road. There's a big difference between all-season and winter tires. On winter tires, the rubber compound will stay soft below 7 degrees C. All-season tires remain hard below that temperature and won't grip as well. This superior flexibility means drivers gain greater traction and control, particularly when cornering or braking. Keep in mind that with the soft rubber treads snow tires if not removed after winter will use up half of their tread life in a single summer's driving. Advances in winter tire technology are causing more drivers to make the switch to winter tires with each passing year, and this is good news from a safety perspective. However this does not mean that we can drive less cautiously. Motorists are also advised to use winter tires in all wheel positions. Installing winter tires on only the front or rear axle positions can create a serious traction imbalance that can result in loss of control, particularly when cornering or braking or making an avoidance maneuver. Another winter driving safety essential is proper tire inflation, which is more difficult to maintain in winter because of greater temperature fluctuations. Every five-degree decrease in temperature results in a loss of about one psi in air pressure. A temperature drop of 15 degrees, for example, which can happen frequently in winter, typically results in 10 per cent under-inflation. Under-inflated tires have a smaller footprint, which weakens their grip. The result is diminished braking and handling characteristics, along with higher fuel bills due to increased rolling resistance. Tire makers recommend that motorists measure and, if necessary, adjust their tire pressures to the vehicle manufacturer's recommendation once a month using a reliable tire gauge. Visual inspections are no substitute for a proper gauge. Tires can be under-inflated by as much as 25 per cent and still appear visually to be properly inflated. 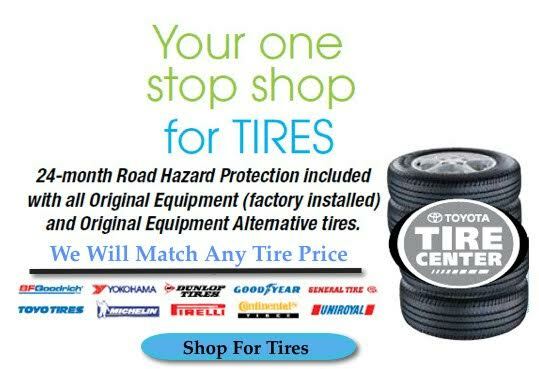 Here is a list of winter tires available at Milton Toyota.